Wednesday August 1, 2018 - NASA leader, Raila Odinga, will be on the ballot gunning for the Presidency come 2022. 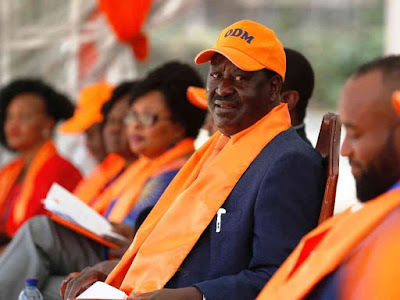 This was revealed by Busia Governor, Sospeter Ojaamong, who confirmed that chances of the NASA leader running for the Presidency again in 2022 are high despite him indicating that he would not be on the ballot. Ojaamong' argued that Raila had one more chance left to try his luck in the battle for State House that has eluded him for decades. The Busia Governor cited a number of reasons why he thought Raila deserved to be given a chance to lead the country. “But I believe he will carry the flag one more time, most likely his last," Ojaamong' said. “I will be willing and ready to serve under his Presidency, as I have always done when I was his Personal Assistant since the days of multi-party struggle," he added. with luo and cartel votes only. Change is whet we need and not him.